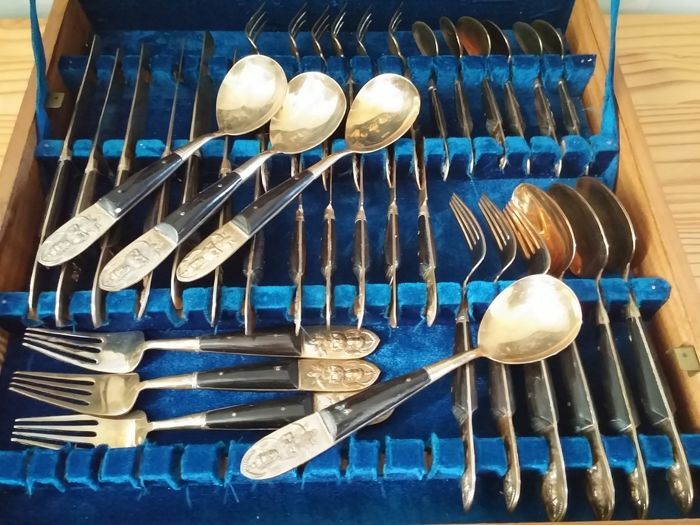 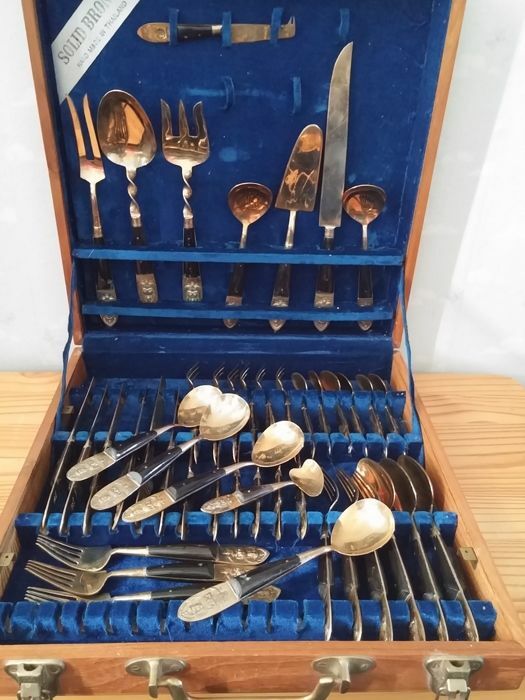 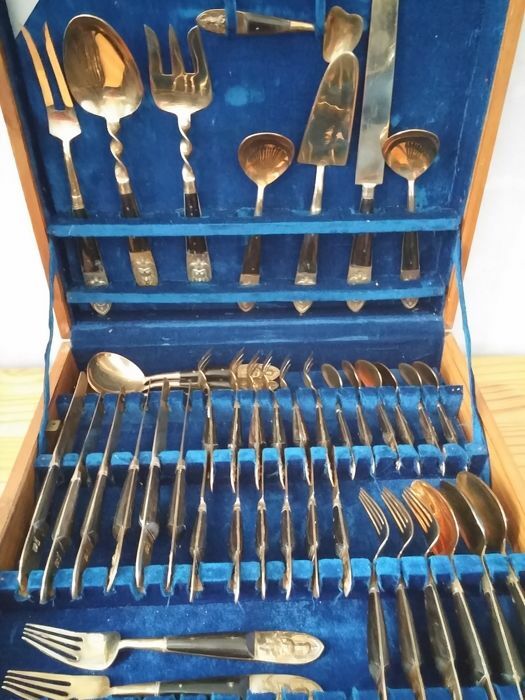 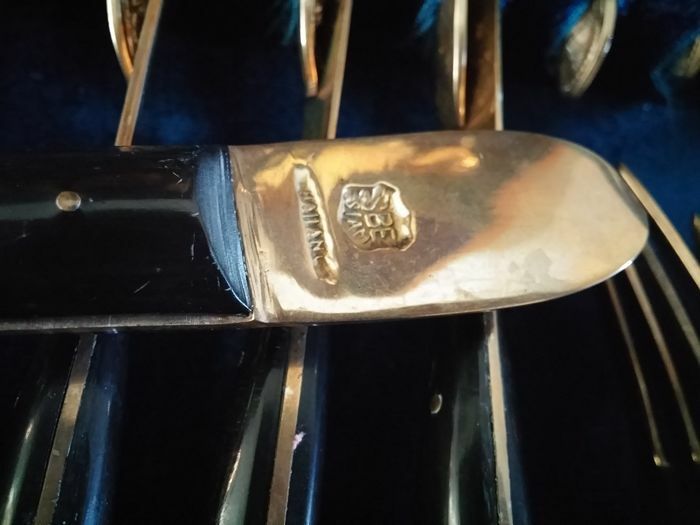 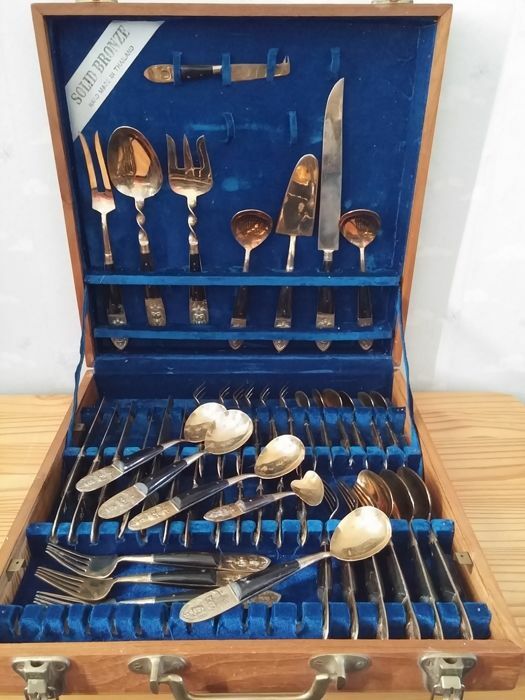 It is in a good condition, cutlery set consisting of 46 parts from Thailand. 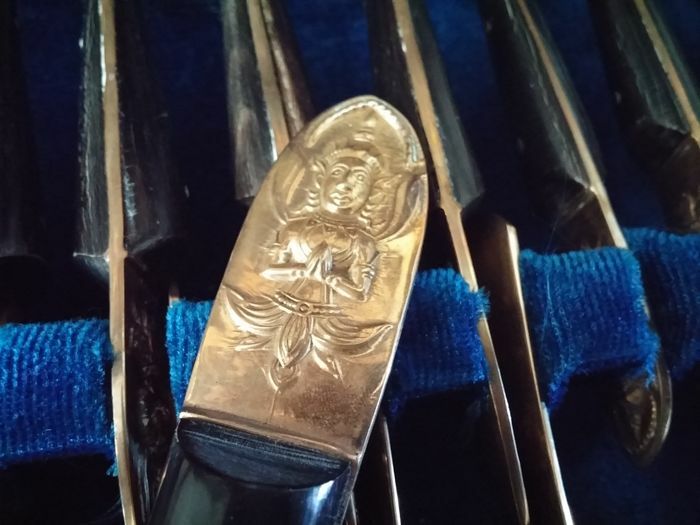 Material is bronze. 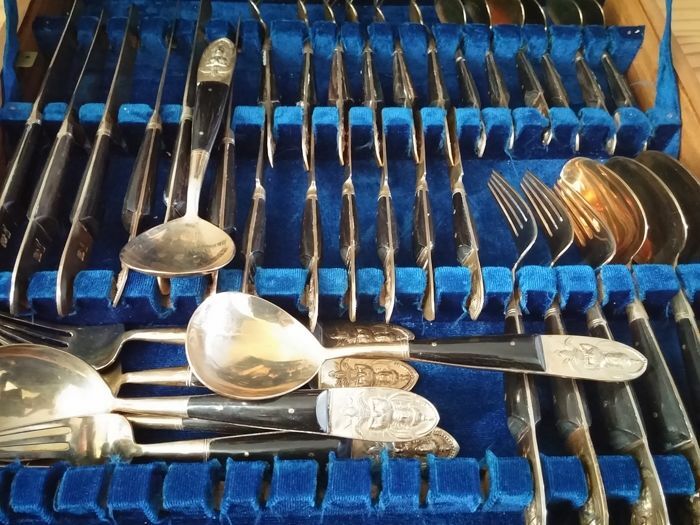 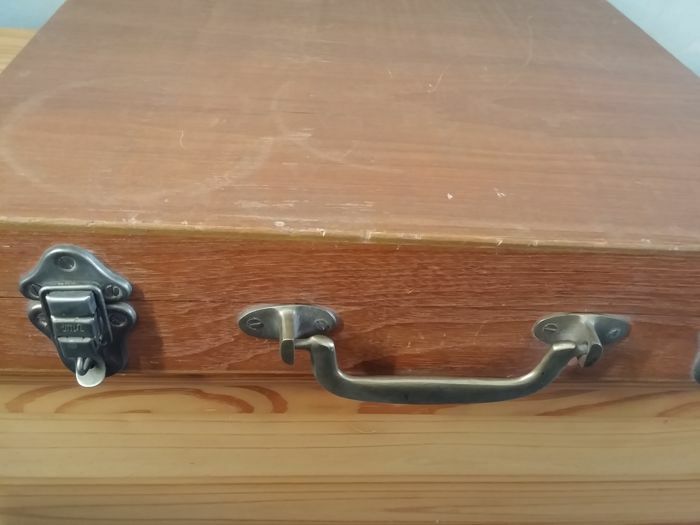 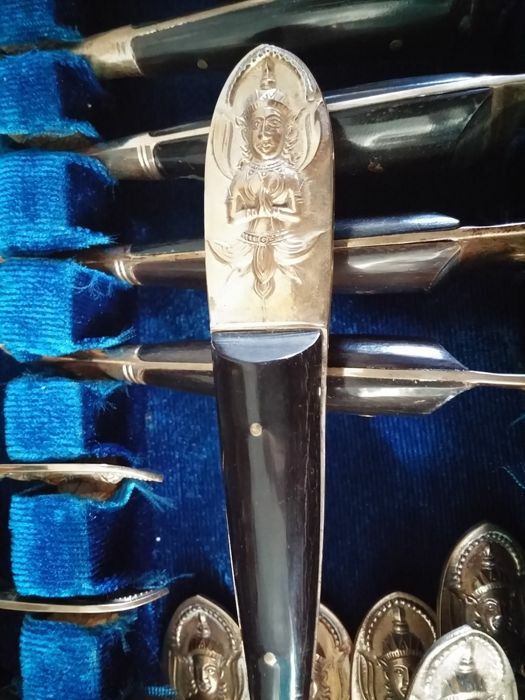 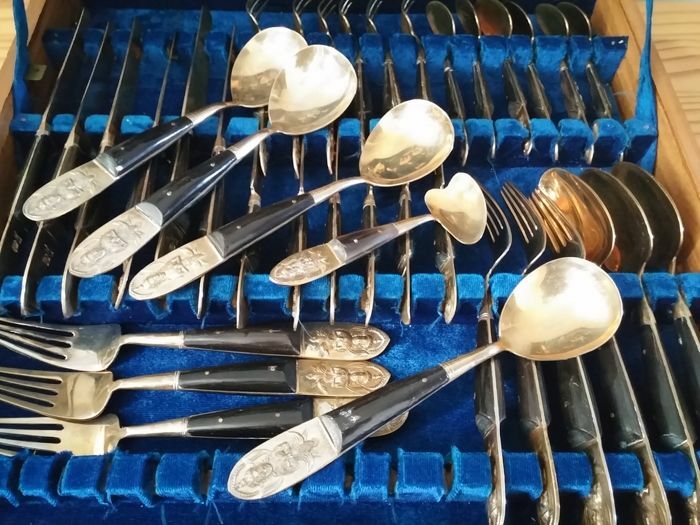 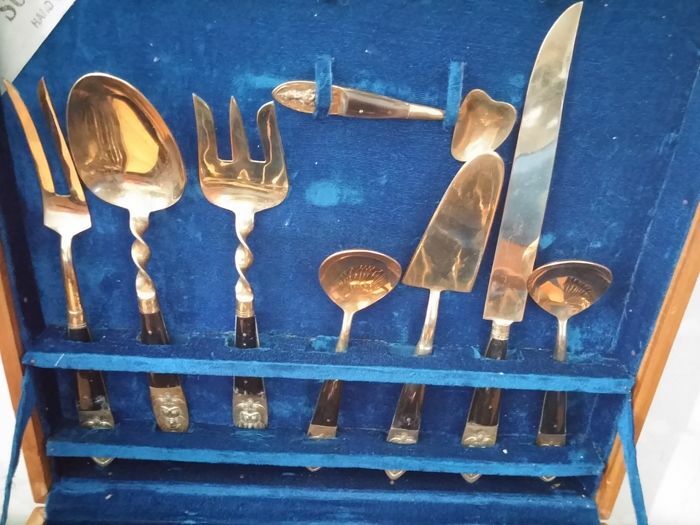 It is in a good condition, with a single sign of wear, the cutlery is marked, wooden handles cutlery consists of forks, knives, big and small, different types of spoons and various types of serving cutlery. 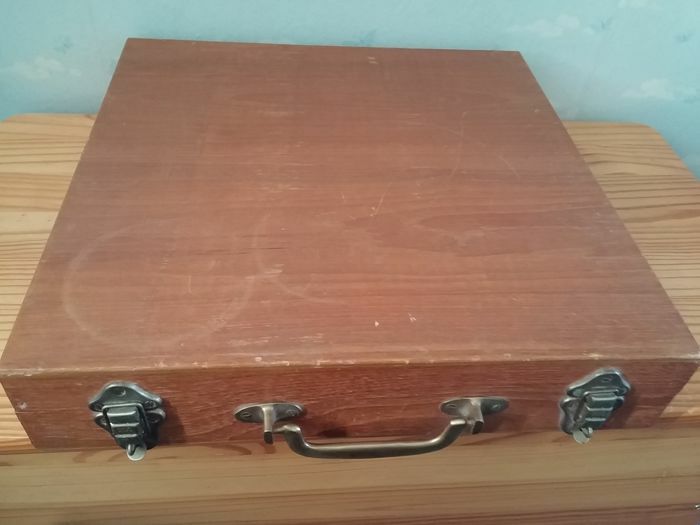 Dimension case 40 x 40 x 8 cm. 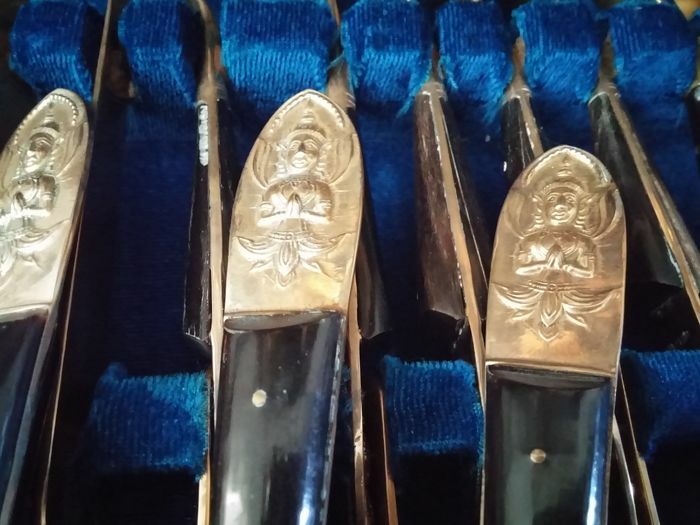 Will be shipped registered.